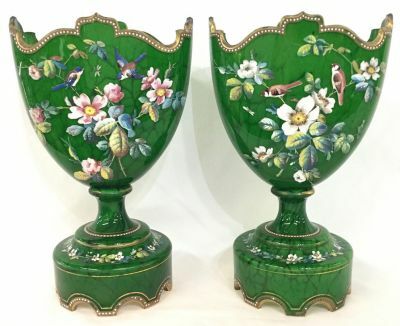 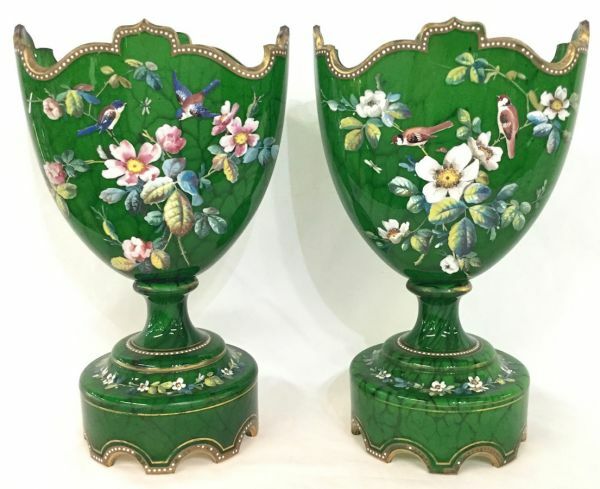 French 19th century enamelled glass mantle vases, circa 1860. 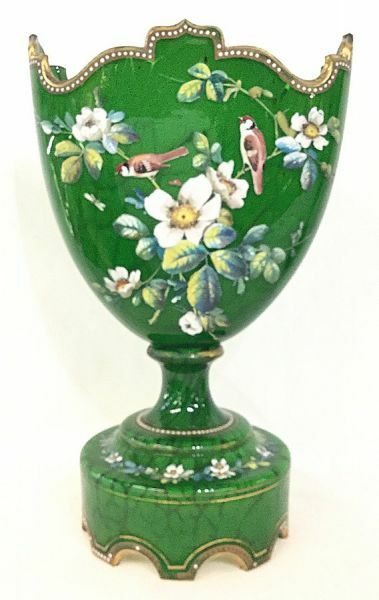 Birds and flowers expressing multiple colours, painted on a green malachite type cased glass. 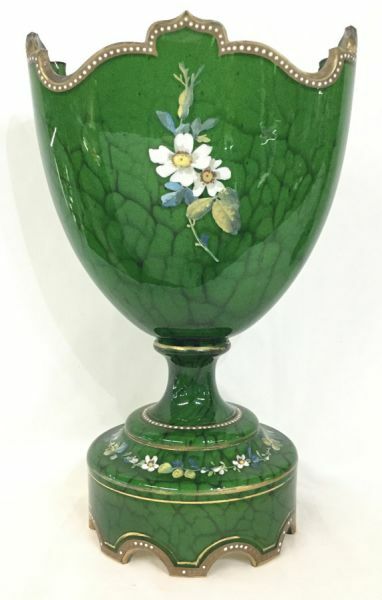 Minor loss to the gilding. 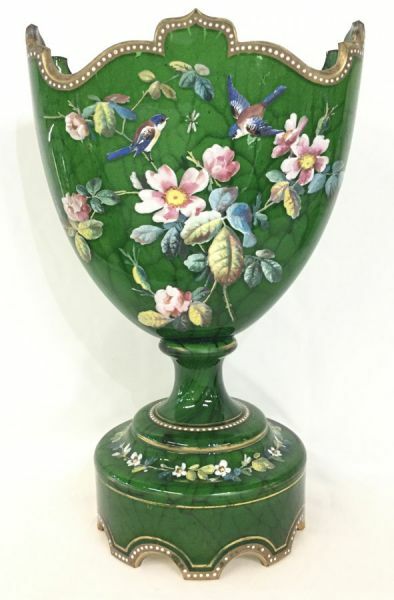 10” high, 6” at the widest.